A 1994 film chronicling the journey of three drag queens through the Australian outback. Guy Pearce as Felicia Jollygoodfellow and Hugo Weaving (yes, Elrond / Agent Smith!) as Mitzi Del Bra are the two transvestites of the trio. While Terence Stamp ("Kneel before Zod!") as Bernadette Bassenger portrays the transsexual. Bill Hunter, who seems to turn up in most every Australian movie ever made (including Muriel's Wedding, The Return of Captain Invincible, and Strictly Ballroom), appears as Bob the mechanic. This film is well-loved by many Rocky Horror fans for many obvious reasons, including the Academy Award winning costumes. The Drew Carey Show actually featured a mock "dance off" between Rocky Horror and Priscilla fans in its "New York and Queens" episode from the second season. Adventures of Priscilla, Queen of the Desert (Australian Trailer) - 2 minutes 59 seconds (622x360, 25 fps, 20.0 MB). Only difference from the American version of the normal theatrical trailer is a different voiceover. Aussies get a voiceover with an Australian accent, and Americans get one without the accent. Adventures of Priscilla, Queen of the Desert (Teaser Trailer) - 1 minute 5 seconds (672x360, 25 fps, 7.2 MB). "If alien beings arrived in your town... how would they act? What would they say? And most importantly, what would they wear?" 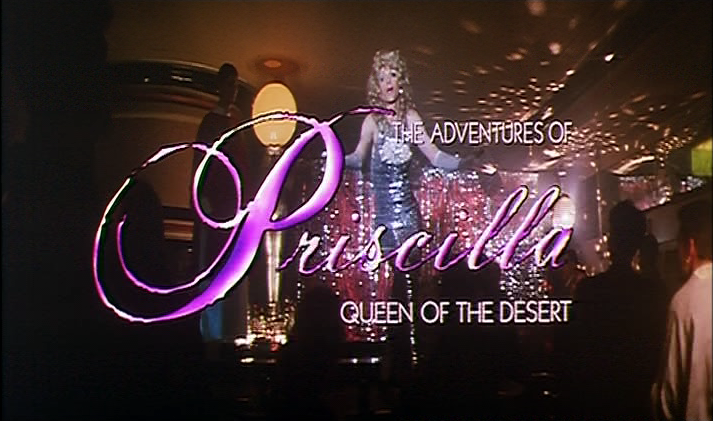 Adventures of Priscilla, Queen of the Desert (Theatrical Trailer) - 2 minutes 30 seconds (672x360, 25 fps, 16.7 MB). "They're ready for stardom. They're ready for fame. They're ready... for their close-up."